Day in and day out, millions of people around the world are glued to their smartphone screens. Whether it be for work or leisure, our smartphones have become an integral aspect of our lives. But many people are finding it difficult to separate their me-time with their work-time, often responding to work-related emails off the clock. Not very many people like doing this, but our smartphones make it hard to avoid the temptation. After all, your device doesn’t care whether it’s a weekday or its the weekend – work emails will still interrupt whatever it is you are doing. 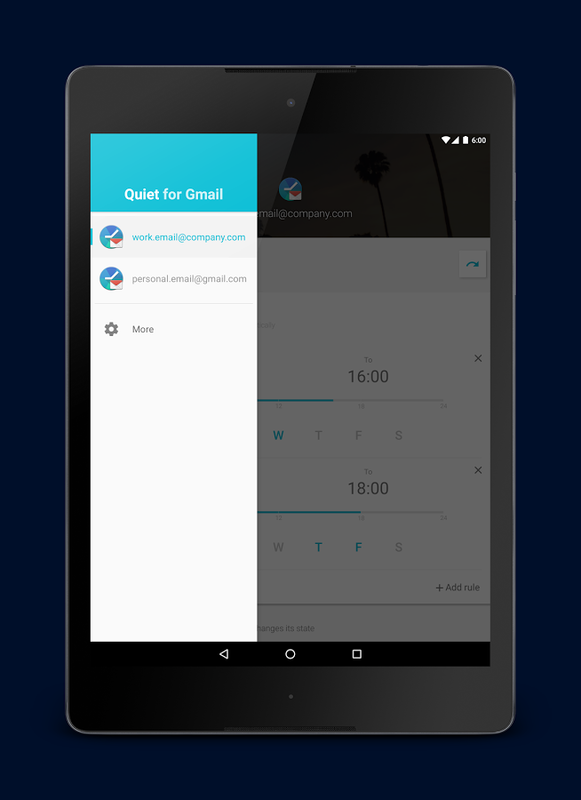 Luckily, a hidden gem of the Google Play Store is here to save the day and its called Quiet for Gmail. 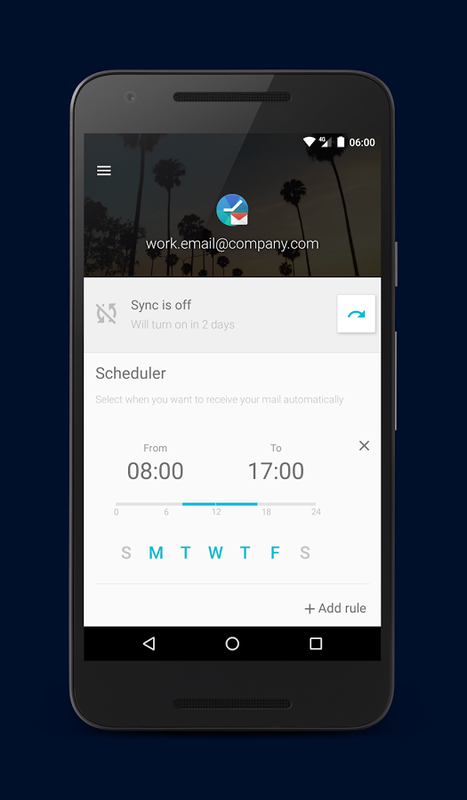 This application allows you to control the sync schedule of your selected email accounts. 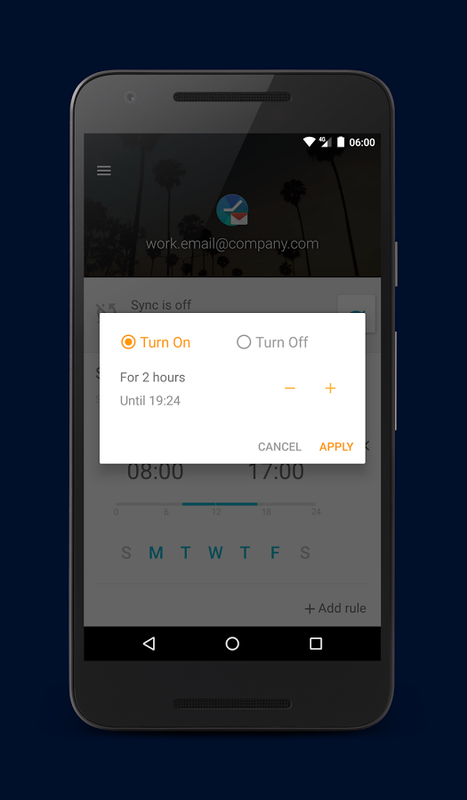 When the sync schedule is enabled, you won’t get any email notifications from one or more accounts within the desired snooze hours. 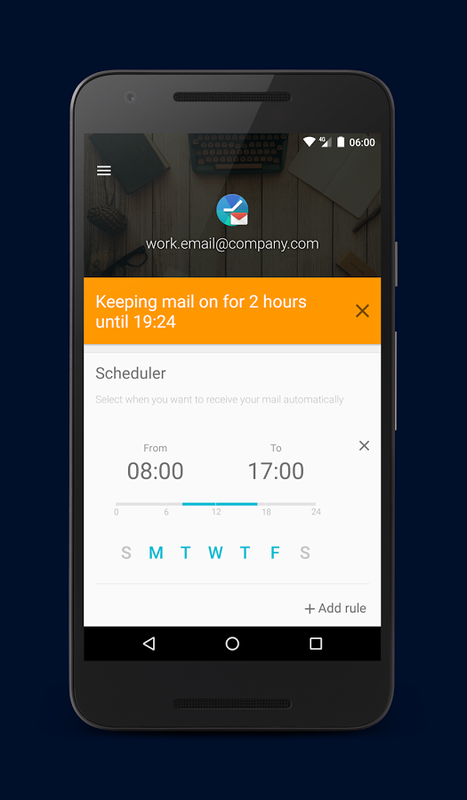 You can create rules for select days and hours within those days that you don’t want to receive any email notifications. Just set it up based on your work schedule, and the app will handle the rest. 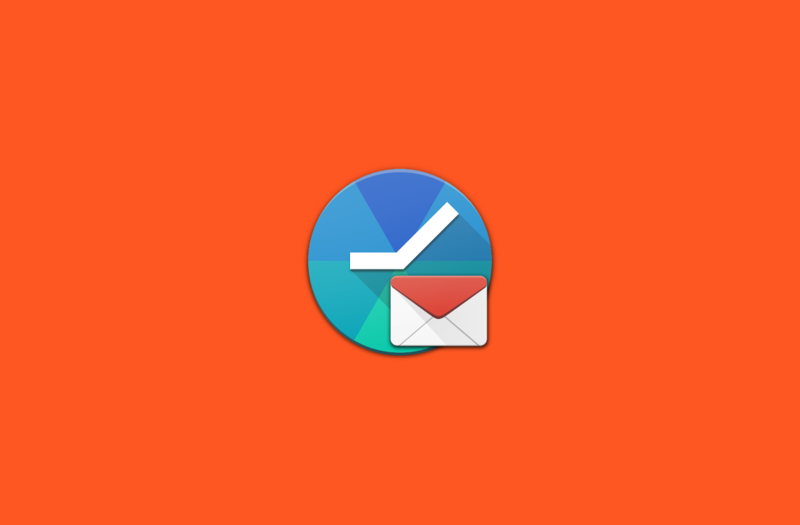 As the name implies, Quiet for Gmail works with the default Android Gmail client, but it also works with the Google Inbox application. This makes the application an interesting proposition to all of you who value time with your friends and family (or yourself) over boring work emails. Quiet for Gmail is a free application and does not contain any advertisements. You can grab the latest version of the application from the Google Play Store link below.